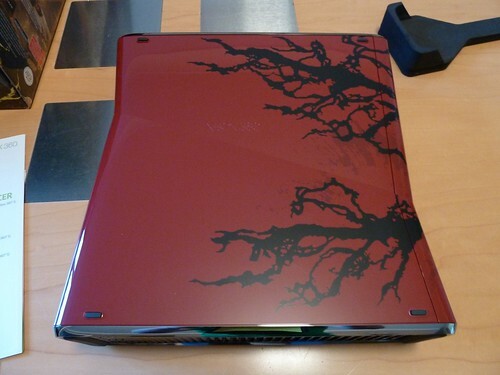 While playing Call of Duty: MW3 on my old Xbox 360 Elite, I noticed some strange black lines appearing in the background. I switched around cables, ports etc as I assumed it was a cable issue, but the problem stayed. 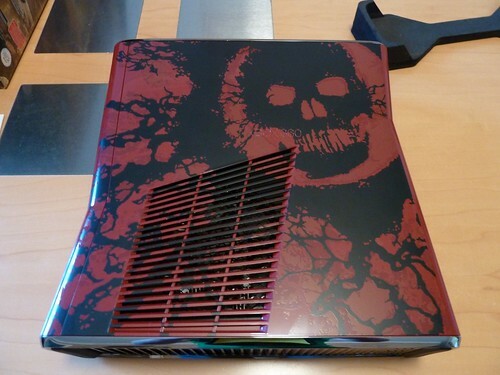 So ‘google is your friend’, and I found a handful of forum posts suggesting that the Xbox was on it’s way out, and these black lines were early signed of the Red Ring of Death, and I could soon expect to see the E74 error message. 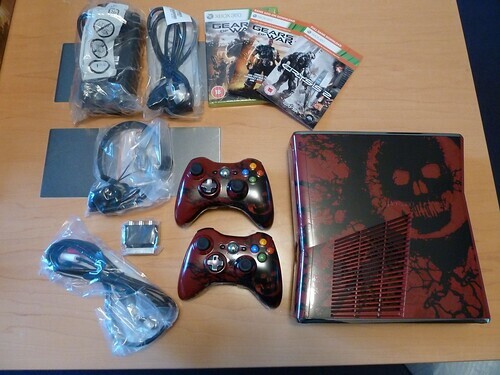 Now Microsoft have given an additional 2 years warranty to cover the RROD, but unfortunately the Elite is nearly 3 and a half years old…..so time to buy a new shiny one ! 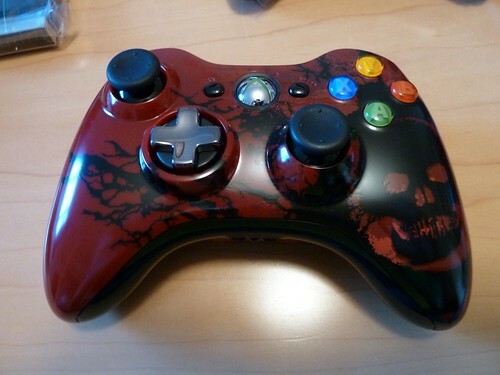 I spent the evening looking at online deals, and finally decided that I wanted one of the special edition Xbox’s. 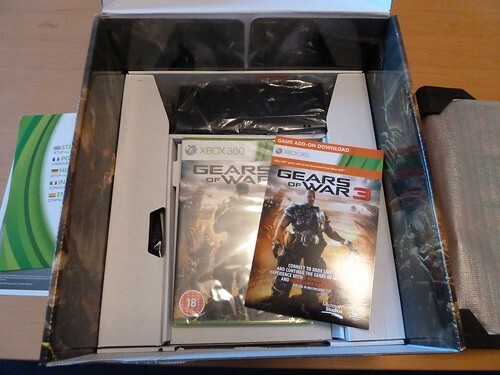 I currently own the Halo Reach special edition Xbox and know there are currently 2 others on the market, the MW3 edition and the Gears of War 3 edition…..so decided to go with the Gears of War 3 edition. 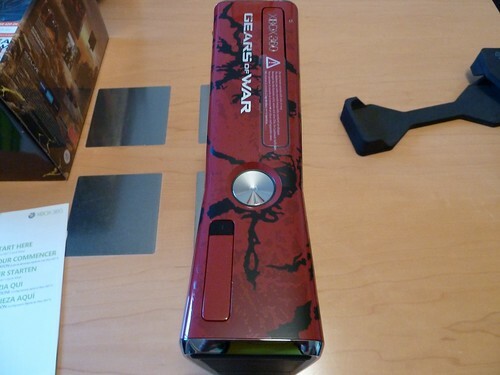 Same as the Halo Reach special edition Xbox, it comes with a custom paint job, custom sounds and 2 custom controllers, and obviously a copy of Gears of War 3. The guy who served me at Game also threw in a copy of Crisis 2 (via download code), so all in all quite a bargain at considering it has the 320Gb hard drive. One final thought, the controllers are the new type with the transforming D pad, it’s still early days with it, but WOW what a difference ! As always, the unboxing pics are below.